As I look out my window about half of the trees have transformed into gorgeous displays of oranges and reds. 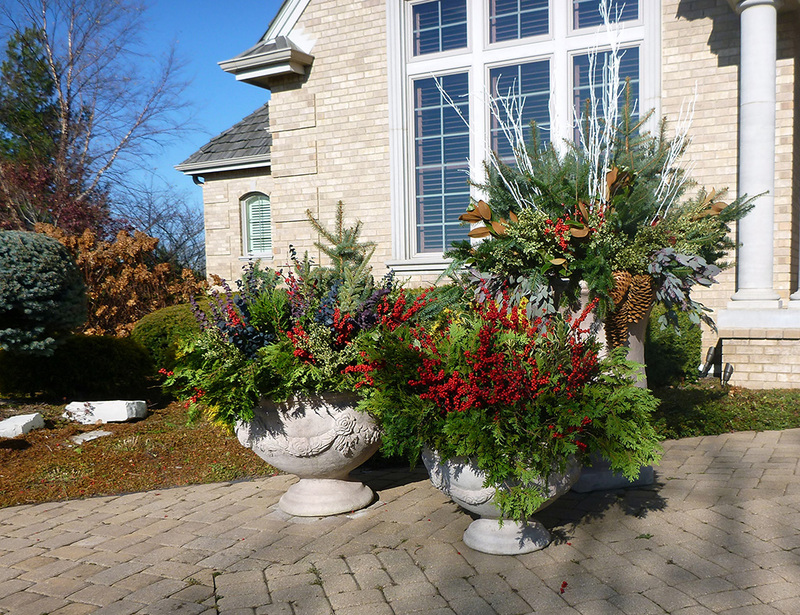 Rhonda just finished installing my fall container display and they look wonderful, as they always do. While I am the last person to start looking for the Christmas decorations (just ask my wife) I am actually looking forward to see what Becky and Rhonda come up with for the winter displays. Every year they get more interesting and unique while maintaining just enough tradition.